Just as they agreed on the booklet format of a passport and the information included within, they must also do so for the next generation of IDs. In most countries around the world, citizens carry identification for those times when it’s necessary to prove to an authority figure who they are. It can be something as simple as a trip to the post office to prove that they’re the intended package recipient, or urgent times like a hospital visit that requires the staff notify close family. For business, the idea of an ID is important for paying taxes, complying with regulations and organizing finances. When traveling, countries have agreed on a system of passports so that legitimate foreign visitors can make themselves known. All these cases share a common thread. Authorities must be shown an internationally (and sometimes domestically) accepted ID. 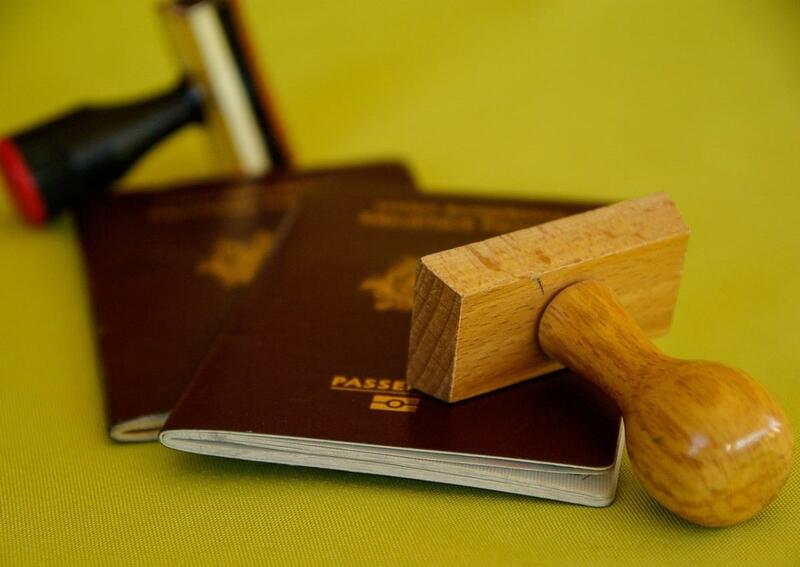 Committing to a common form of identification like a passport, which is almost identical no matter which nationality you hold, is a straightforward way for the world’s authorities and governments to promote law and order. Accountability, no matter where you are, is important. Physical IDs are crucial in this regard because they’re relatively difficult to forge, accurate and reasonably secure. However, innovative ideas about one’s digital identity are emerging that could change that. Partly due to some frightening events like the recent Equifax breach, in which hackers stole the personal identifying data of more than 150 million people, keeping one’s digital identity safe is a hot button issue. It’s also relevant because technology like blockchain is finding new ways to answer these hard questions. How far can blockchain go? For something as important as an identity, governments still need the ability to determine which modes of ID it deems authentic. Just as they agreed on the booklet format of a passport and the information included within, they must also do so for the next generation of IDs. Blockchain represents the most likely candidate to revolutionize the idea of identification, but there are some hurdles in its way. Governments can hardly stop speculative blockchain solutions from investors who operate remotely and need no centralized authority, but crossing a physical border is a different issue entirely. Blockchain allows vast numbers of geographically distant users to consent to a single system, but can governments agree on which system they’ll accept? Support for a common blockchain system between regular people is easy to find, but getting governments to change policy accordingly is another story. Unilateral international agreement between them on which blockchain people will use to identify themselves becomes a real issue. There are already blockchain innovators discussing these important ideas between themselves. New platforms such as SelfKey aim to answer any questions governments have when they inevitably come knocking. The company envisions a blockchain ecosystem that has two crucial functions: the ability for people to register for an array of financial and civic services, and efforts bring different jurisdictions together who allow their citizens to register for services. So far, people can use the KEY cryptocurrency to establish their irrefutable blockchain ID, and to register a new business, establish residency, buy international health insurance, start a new foundation or bank account, and more. Many of these services are supported in jurisdictions around the world, so people can travel and have a universal ability to prove their status, no matter where they are. “Citizenship in countries like Vanuatu and Grenada will be available for purchase to users of the SelfKey identity wallet immediately at launch. To streamline this process, we use a reusable KYC compliant identity wallet which will help all parties in the application process,” said Edmund John Lowell, founder of SelfKey. Other platforms take a different approach to blockchain IDs, by using mobile technology and biometric identification (like the thumbprint login functionality on iPhones and some laptops). Regardless of how companies think that a self-sovereign ID will come about, all will require the help of governments to make it happen. One interesting idea to ponder is how a decentralized identity would work without government consent. Can citizens decide who is legitimate, even if the government doesn’t agree that they are? We are still too far from this reality to comprehend what such a world would require. The more realistic goal is to encourage governments, central banks, and other societal infrastructure to accept blockchain as a solution to some of their problems. Thankfully, even for blockchain companies that aren’t thinking on such a big scale, it’s becoming more recognized that compliance with the status quo is necessary in driving change. As the two worlds collide, a better one will be born on the back of those who are only today sculpting their vision.